Click below to subscribe to our newsletter and stay up to date on our hot jobs and candidates! “I founded Kunin Associates in 1995 after a successful five years working as a CPA in audit with a Big 4 firm. I grew up surrounded with the business of recruiting and worked for a couple of years with a large, local recruiting firm, studying this market in detail, and disseminating what was really important to become a successful recruiter. I combined my job placement experience and accounting and finance knowledge to successfully grow my own firm. I enjoy making new connections and love the challenge of matching my client’s and candidate’s needs. In this way, I create both career-changing and life-changing placements, and help our clients build and grow their companies. We personally vet each of our potential candidates to match our clients’ specific needs. Being a CPA, I have a strong foundation of what is required to fill a company’s tangible and intangible essentials. My firm’s motives are the same as that of both my clients and candidates: to make a successful merger where the candidate can grow and develop with the company and be an integral part of the team. 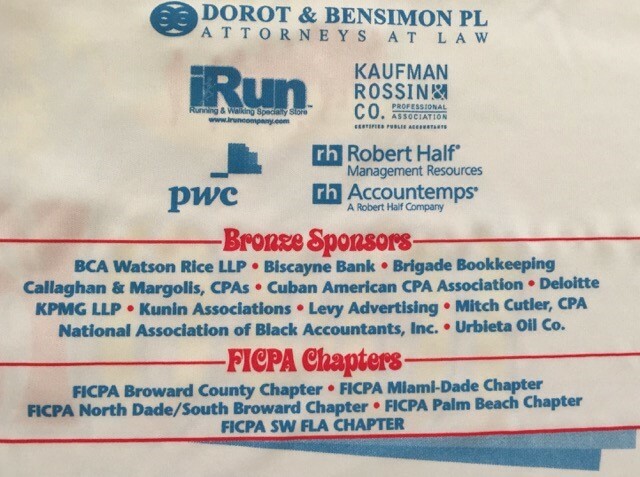 This year, the FICPA Educational Foundation celebrated the 28th annual 1040K race in Coconut Grove. Kunin Associates was proud to be honored as a Bronze sponsor for this wonderful event benefiting South Florida accounting students. Since its inception, the 1040K race committee has raised more than $250,000 in scholarship funds. 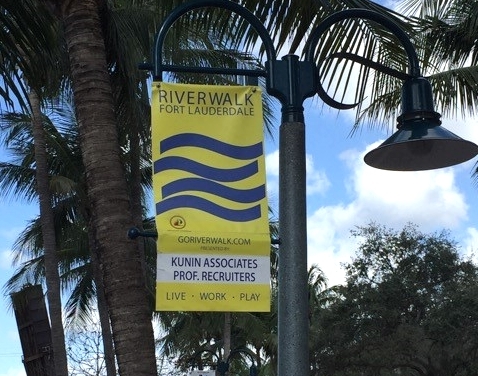 Kunin Associates supports Riverwalk, a local non-profit dedicated to making the Riverwalk and Downtown Fort Lauderdale a vibrant community.